Culturally, coffee is a major part of Ethiopian and Yemenite history. This cultural significance dates back to as many as 14 centuries ago, which is when coffee was (or was not) discovered in Yemen (or Ethiopia... depending on who you ask). Whether coffee was first used in Ethiopia or Yemen is a topic of debate and each country has its own myths, legends, and facts. Kaldi, an Abyssinian goat herder from Kaffa, was herding his goats through a highland area near a monastery. He noticed that they were behaving very strangely that day, and had begun to jump around in an excited manner, bleating loudly, and practically dancing on their hind legs. He found that the source of the excitement was a small shrub (or, in some legends, a small cluster of shrubs) with bright red berries. Curiosity took hold and he tried the berries for himself. Like his goats, Kaldi felt the energizing effects of the coffee cherries. After filling his pockets with the red berries, he rushed home to his wife, and she advised him to go to the nearby monastery in order to share these "heaven sent" berries with the monks. Upon arrival at the monastery, Kaldi's coffee beans were not greeted with elation, but with disdain. One monk called Kaldi's bounty "the Devil's work" and tossed it into a fire. However, according to legend, the aroma of the roasting beans was enough to make the monks give this novelty a second chance. They removed the coffee from the fire, crushed them to put out the glowing embers and covered them with hot water in an ewer to preserve them. All the monks in the monastery smelled the aroma of the coffee and came to try it. Much like the tea-drinking Buddhist monks of China and Japan, these monks found that coffee's uplifting effects were beneficial in keeping them awake during their spiritual practice of prayers and holy devotions. They vowed that from then on they would drink this newfound beverage each day as an aid to their religious devotions. However, this story did not appear in writing until A.D. 1671. It is generally considered to be apocryphal rather than a true history of coffee's origin. Similarly, there are two alternate coffee origin legends. One attributes the discovery of coffee to Yemenite Sufi mystic Ghothul Akbar Nooruddin Abu al-Hasan al-Shadhili. The other claims that coffee was 'discovered' by Sheik Abou'l Hasan Schadheli's disciple, Sheikh Omar, who was living as a recluse in Mocha, Yemen. Al-Shadhili was traveling through Ethiopia, presumably on spiritual matters. He encountered some very energetic birds that had been eating the fruit of the bunn plant (known elsewhere as the coffee plant). Weary from his journey, he decided to try these berries for himself and he found that they produced an energetic state in him as well. This myth is interesting in that it was preserved in Yemen, but it attributes the origin of coffee to Ethiopia. Sheikh Omar, a doctor-priest and a follower of Sheik Abou'l Hasan Schadheli from Mocha, Yemen, was exiled to a desert cave close to the mountain of Ousab. According to one version of the myth, this exile was for some sort of moral transgression. According to another version, Omar was exiled because he practiced medicine on the princess in the stead of his master (who was on his deathbed). After curing her, he decided to "keep" her (interpret that as you wish.). He was exiled by the king as punishment. After some time of exile and on the verge of starvation, Omar found the red berries of the coffee plant and tried to eat them. According to one version of the story, a bird brought him a branch bearing coffee cherries after he cried out in despair for guidance from his master, Schadheli. However, he found them to be too bitter to eat raw, so he threw the berries into the fire, hoping to remove their bitterness. This basic 'roasting' technique hardened the berries in the fire. They were unsuitable for chewing, so Omar boiled them to try to soften them. As they boiled, he noticed the pleasant aroma of the increasingly brown liquid and decided to drink this decoction rather than eat the beans. He found the drink to be revitalizing and shared his tale with others. In another version of the story, Omar found the raw beans to be delicious and decided to make them into a soup. When the roasted coffee cherries were removed, the 'soup' became something closely resembling the drink we know of as coffee. The story of Omar's invigorating drink quickly reached his hometown of Mocha. His exile was lifted and he was ordered to return home with the berries he had discovered. Returning to Mocha, he shared coffee beans and the drink of coffee with others, who found that it 'cured' many ailments. It was not long before they hailed coffee as a miracle drug and Omar as a saint. A monastery was built in Mocha in Omar's honor. It is thought that the legendary character of Kaldi would have existed around A.D. 850. This account coincides with the commonly held belief that coffee cultivation began in Ethiopia around the 9th-century. However, some believe that coffee was cultivated as early as A.D. 575 in Yemen. The legend of Kaldi, his goats, and the monks suggest that coffee was discovered as a stimulant and as a beverage on the same day. However, it is far more likely that coffee beans were chewed as a stimulant for centuries before they were made into a beverage. The beans may have been ground and mixed with ghee (clarified butter) or with animal fat to form a thick paste. This would have been rolled into small balls then consumed as needed for energy on long journeys. Some historians believe that this custom of chewing coffee beans was brought (along with coffee itself) from Kaffa to Harrar and Arabia by Sudanese slaves who chewed coffee to help survive the arduous journeys of the Muslim slave trade routes. Supposedly, Sudanese slaves picked up this custom of chewing coffee from the Galla tribe of Ethiopia. Today, the tradition of consuming ground coffee in ghee remains in some areas of Kaffa and Sidamo. Similarly, in Kaffa, some people add a little melted clarified butter to their brewed coffee to make it more nutritionally dense and to add flavor (a bit like the butter pu-erh tea of Tibet). According to some sources, there was also a way of eating coffee as a porridge. This method of consuming coffee could be seen amongst several other indigenous tribes of Ethiopia around the 10th-century. 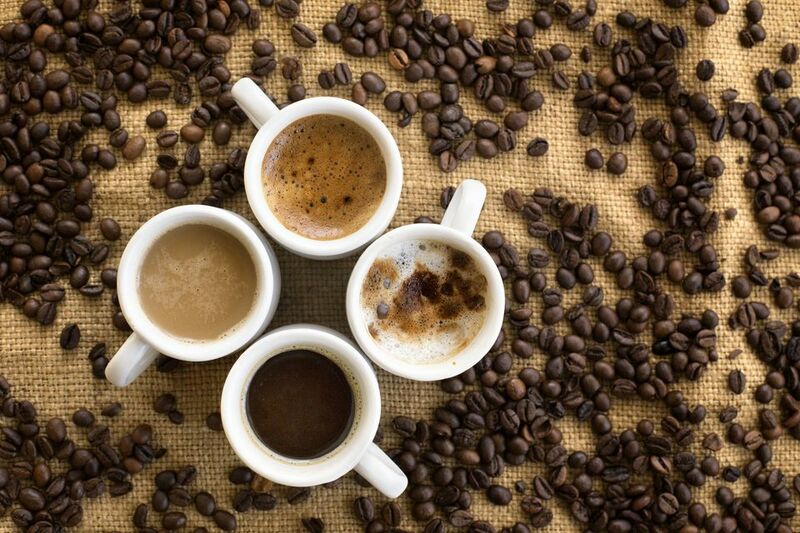 Gradually, coffee became known as a beverage in Ethiopia and beyond. In some tribes, coffee cherries were crushed then fermented into a kind of wine. In others, coffee beans were roasted, ground, and then boiled into a decoction. Gradually, the custom of brewing coffee took hold and spread elsewhere. Around the 13th-century, coffee spread to the Islamic world, where it was revered as a potent medicine and powerful prayer aid. It was boiled much like medicinal herbal decoctions are boiled -- for intensity and strength. You can still find traditions of boiling coffee in Ethiopia, Turkey, and much of the Mediterranean. These are known as Ethiopian coffee, Turkish coffee, Greek coffee, etc. Although there are many accounts of coffee history dating back to the 9th-century and earlier, the earliest credible evidence of humans interacting with the coffee plant comes from the middle of the 15th-century, when it was consumed in the Sufi monasteries of Yemen. Sufis used coffee to keep themselves awake and alert during their nighttime devotions and long hours of prayer. However, it is generally believed that coffee beans were originally exported from Ethiopia to Yemen and that Yemeni traders later brought coffee plants back to their homes and began to cultivate them there. Yemen is also the origin of the term 'mocha,' which is commonly used to refer to chocolate-flavored coffees (such as the mocha latte) today. Originally, the term 'mocha' referred to the city of Mocha, which was a major trade center for the Mocha style of coffee bean - a type of coffee prized for its distinctive flavor. Some believe that Marco Polo purchased coffee beans in Mocha during his voyages. It wasn't until the 17th-century that knowledge of coffee (and the misnomer of 'mocha') spread to Europe.